Flooring is an essential piece of every home. 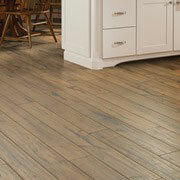 Ultimately, the style of flooring a homeowner chooses will lay the foundation for the aesthetic and feeling of a home. Because this is such a major decision for any homeowner, it is best if they know all of the options available to them. If you are a contractor and would like to educate your clients about the world of flooring, taking this to a ProSource® showroom would be advantageous for them. At one of our showrooms, your clients will be able to peruse all of our selections of flooring and choose which one would work best for them. Some of these flooring options are listed below. 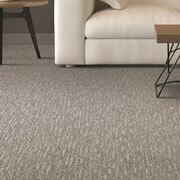 If your clients want a warm, inviting household, carpet flooring is an ideal choice. Because of its plush texture, carpet is a typical option if a homeowner wants their residence to look soft and comfortable. Taking your clients to one of our showrooms will expose them to the varieties of our carpet flooring and perhaps give them inspiration for what shade they would like to put in. Hardwood is a classic flooring choice and looks very smooth once laid out. 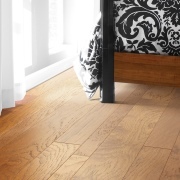 Choosing hardwood flooring has its advantages, as it looks great and lasts years. If your client wants hardwood flooring, ProSource has a dozen of hardwood samples varying in colors and designs. 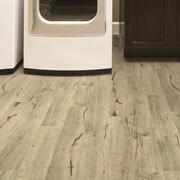 Laminate is a great choice for any of your clients that have a family. Though hardwood is desirable, it does not take wear very well. Because of this, laminate provides an excellent alternative because it is durable and can take heavy use. Tile flooring will give your client’s home a unique look. 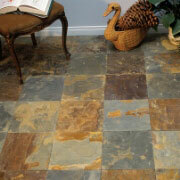 Tile is also one of the most flexible flooring options, as tile can be made in any color or shape (mosaic). If your client desires a truly one-of-a-kind floor, tile is a great choice. If your client is looking for inexpensive flooring, vinyl is your optimal pick! Vinyl is not only affordable, but is extremely durable. So, if your client has a family, choosing vinyl would be advantageous.